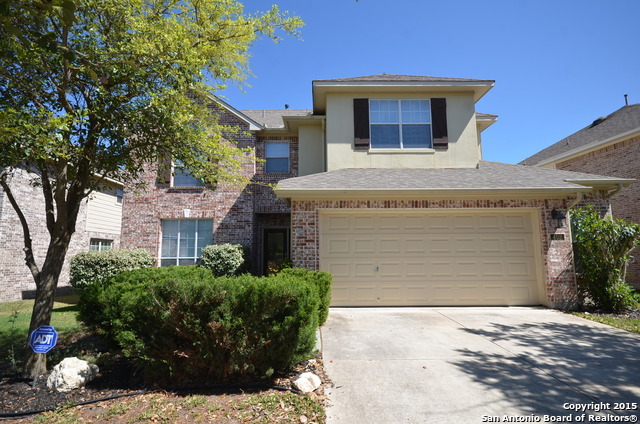 All STONEWALL RANCH homes currently listed for sale in San Antonio as of 04/25/2019 are shown below. You can change the search criteria at any time by pressing the 'Change Search' button below. 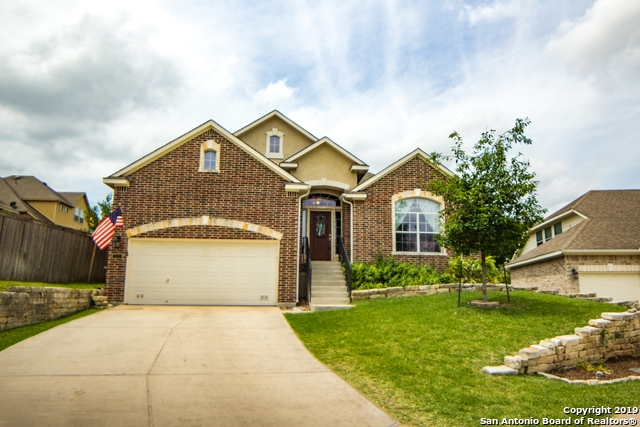 "Super nice home in gated community in San Antonio off IH-10 & Loop 1604, close to The Rim, La Cantera, USAA, Fiesta Texas. Easy commute to IH-10, NISD schools. Welcome home to this very nice family home on a corner lot, open floor plan, with a fireplace in the living room. Master bedroom is downstairs, along with the study. The secondary 3 bedrooms are upstairs with an additional living/game room. The kitchen is very well designed with additional eating area. Outdoor kitchen, covered patio, lo"
"Amazing 4 bed 2.5 bath one-story home in highly desired Stonewall Ranch subdivision with lots of amenities! 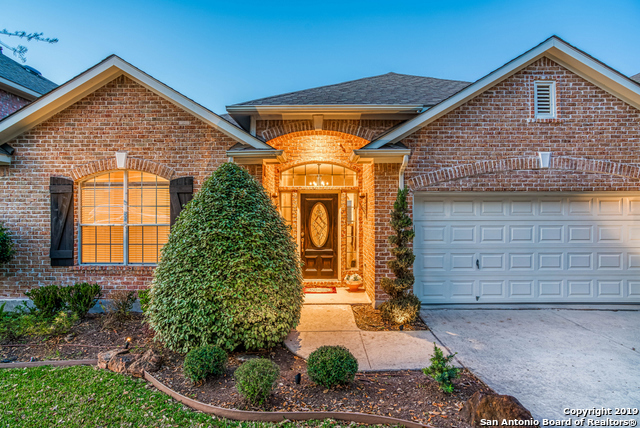 The perfect fit for a growing family with top-rated school district, close connection to: shopping, restaurants, six-flags as well as the hill country, and privacy/security. Home boasts open floor plan, high ceilings, beautifully landscaped yard with deck perfect for entertaining friends & family. Master bedroom has large en-suite, & guest bedroom comes with custom furniture. Schedule your"
"Your search is over! This move in ready floor plan offers vaulted ceilings & abundance of natural light & much more. LR features frplce, ceiling fan, alcove & wood floors that flow into separate dining w/decorative shelf & chandelier. Huge island kit offers yards of granite counters, lots of storage, generous brkfst space. Spacious mstr suite has double vanity, walk-in shower & soaking tub. Fresh carpet. 4 BR or office. Large windows internalize the towering shade trees. Covered patio perfect fo"
"Inviting single story home located on a quiet cul-de-sac in the desirable gated community of Stonewall Ranch. The spacious open floor plan boasts hardwood in common living areas, high ceilings and a beautiful sisterdale rock gas fireplace with travertine hearth. Kitchen features exotic granite counter tops and built in appliances. The large professionally landscaped back yard has sprinklers front & back, a custom flagstone patio and a second covered patio off the breakfast area." "Stunning Home located in the Gated Community of Stonewall Ranch. Secondary Bedroom with Full Bath Downstairs. Kitchen has Granite Countertops, Range, Dishwasher and Microwave. Study has Hardwood Floors. Large Loft for second living area. Sprinkler system and remotes for garage. Great Location, Home Shows Great."